Property 3: Private! Wooded in all directions. Great beds. Dogs free. Property 5: VICTORIAN CHALET OVERLOOKING GATLINBURG, SLEEPS UP TO 7. Property 7: Beautiful Chalet incredible Viiew with Pool, Sauna 1 mile from Ober Gatlinburg. Treetop Chalet located near I65 on the Tennessee/ Alabama state line. Property 8: Treetop Chalet located near I65 on the Tennessee/ Alabama state line. Located in one of the nations most desireable vacation spots. Property 9: Located in one of the nations most desireable vacation spots. Unbeatable location, sleeps 5...Super Clean, Great Reviews! Property 10: Unbeatable location, sleeps 5...Super Clean, Great Reviews! Property 12: THE PERFECT SPOT TO UNWIND, RELAX AND ENJOY NATURE! Property 18: Secluded Log Chalet / Most affordable near Ski Slopes & all-season adventures! Chalet in the pines golf course view ponderosa studded mountains on 2.5 acres. Property 25: Chalet in the pines golf course view ponderosa studded mountains on 2.5 acres. Property 26: Spring and Summer Fun! 3BR Chalet with Private Beach and Dock! 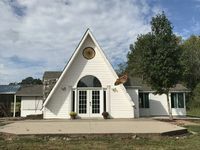 CHARMING CHALET WITH GOLF COURSE VIEW...RELAX ON DECK OR ENJOY THE HOT TUB. Property 30: CHARMING CHALET WITH GOLF COURSE VIEW...RELAX ON DECK OR ENJOY THE HOT TUB. Luxurious, rustic, private vacation home - with great view! Property 32: Luxurious, rustic, private vacation home - with great view! Cozy, family-friendly cabin near the slopes - enjoy spectacular starry skies! Property 37: Cozy, family-friendly cabin near the slopes - enjoy spectacular starry skies! Property 41: Romance, Year-Round Outdoor Adventure, Whiteface Views, Hot Tub, Fireplace! Property 43: Decorated Lord of Rings Theme. View all year round. 3 Miles from Gatlinburg. Property 45: Beautifully decorated & immaculate log chalet on 3 acres, winter views. 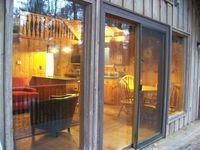 Property 46: Lazy Bear Den with its floor plan makes it a perfect family or couples getaway. Recently upgraded. Amazing Views, Game Room, Hot Tub & More! Bedding for 8! Military Discount! Property 47: Amazing Views, Game Room, Hot Tub & More! Bedding for 8! Military Discount! We loved our stay at the Chalet!